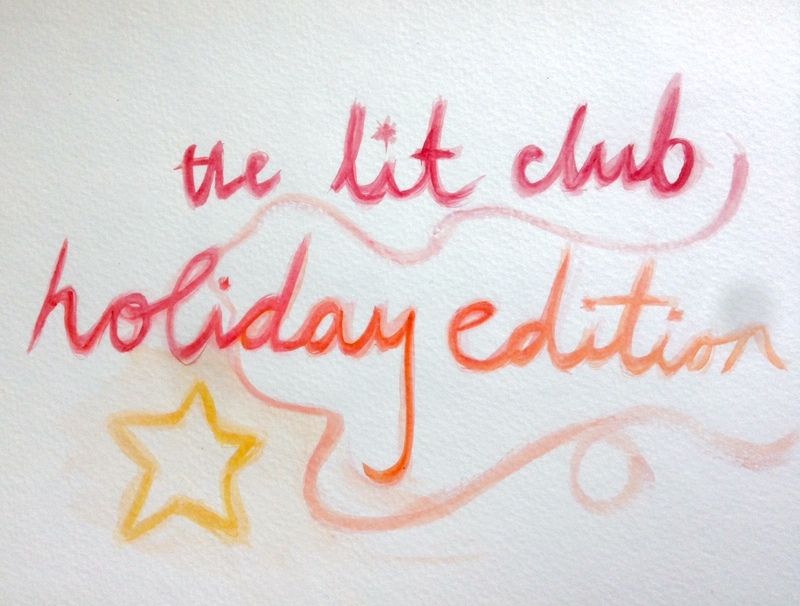 For this The Lit Club Edition, as the holidays are right around the corner, we’re listing top books by people of color that would work as gifts. These wonderful novels, picture books, and graphic novels are perfect for readers of any age with important and meaningful messages, ready to warm any heart this holiday season. Nominated for an Academy Award in 2014, “Happy” hit number one on Billboard’s Hot 100 list, and has topped the charts in more than seventy-five countries worldwide. Now, Pharrell Williams brings his beloved song to the youngest of readers in photographs of children across cultures celebrating what it means to be happy. All the exuberance of the song pulses from these vibrant photographs of excited, happy kids. This is a picture book full of memorable, precious childhood moments that will move readers in the same way they were moved by the song. The year is 1987 and fourteen-year-old June has just lost the most important person in her life to AIDS. June is shy at school and distant from the rest of the family: she can only be herself in Uncle Finn’s company, so when he dies, June’s world is turned upside down. After the funeral, she receives a teapot from Finn’s apartment in the mail, which leads her to find an unlikely friendship in Toby, her uncle’s boyfriend. An emotionally charged coming-of-age novel, Tell the Wolves I’m Home is a tender story of love lost and found, an unforgettable portrait of the way compassion can make us whole again. What does “feminism” mean today? 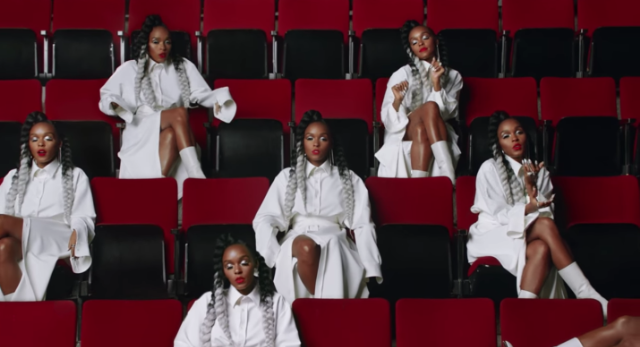 The question at the heart in We Should All Be Feminists, a personal, eloquently-argued essay—adapted from her much-viewed TEDx talk of the same name—by Chimamanda Ngozi Adichie, the award-winning author of Americanah and Half of a Yellow Sun. With humor and levity, Adichie offers readers a unique definition of feminism for the twenty-first century—one rooted in inclusion and awareness. She shines a light not only on blatant discrimination, but also the more insidious, institutional behaviors that marginalize women around the world, in order to help readers of all walks of life better understand the often masked realities of sexual politics. Throughout, she draws extensively on her own experiences—in the U.S., in her native Nigeria, and abroad—offering an artfully nuanced explanation of why the gender divide is harmful for women and men, alike. The first three-in-one book from the Aya series, Aya: Life in Yop City is a French graphic novel written by Marguerite Abouet and illustrated by Clément Oubrerie. The story is set in Ivory Coast during the 70s, a stable period for the country and West Africa after declaring independence from the French. This anthology goes over themes of family, homosexuality, feminism, friendship and more. Humorous and dramatic are two words that immediately come to mind when I think of this graphic novel. It is known for resembling a bit of a soap opera, which is a quality I can bare with this form of literature. The dramatic aspect of this graphic novel calls to Nigerian and Congolese movies my parents watch, as the plot is predictable, but always brought to life with its hilarious and loud characters. In Aya: Life in Yop City, the main characters are Aya, Bintou, and Adjoua, alongside their families and friends. From the cast of characters, my favorites are Hervé, Inno, and Aya as they are more level headed and calmer compared to the more wacky and theatrical characters like Moussa, Adjoua, Bintou, and more.Yet, I wouldn’t want it any other way, as these melodramatic characters help move the plot along and belong to important family and friendship dynamics. The setting is wonderful and refreshing, Ivory Coast is painted within this anthology like all of Africa should in literature, television film, etc: full of life, funny and colorful. As a Congolese girl, even if the book is set during the 70s, I could definitely relate to certain customs, sayings and more as Ivorian and Congolese culture are very similar. A lot of the food talked about are also as common in the Democratic Republic of Congo, and it felt nice to have these little details I could relate to. The acknowledgment of feminism and empowerment, as many women are treated wrongly mainly by their significant others, is another aspect I admire from this novel. It surprised and made me extremely happy that Aya and many other women in the book do not let men trample all over them and see their personal worth. I also adored the inclusion of gay characters, and took on the topic of homosexuality and internalized homophobia, especially during the time period the book was set in. In brief, even if the character’s of Aya: Life in Yop City are a tad too dramatic for my taste, it is a wonderful representation of Africa and Africans. I would recommend it to anyone who loves Nollywood and/or loves character-led, instead of plot-led, graphic novels. The first in a YA series of three books, To All the Boys I've Loved Before stars a half-Korean and half-white protagonist, and follows her romantic endeavors. Lara Jean Song Covey is a sixteen-year-old girl, and a hopeless romantic, who writes love letters to all her past crushes and keeps them in a hatbox. These letters eventually are mailed to the recipients, and complicates her life as her past crushes, and current one on her neighbor Josh, are exposed. Throughout this novel, recurring themes are: family, romance, and more. This book showed wonderful representation, showing a diverse Asian-American family. Although their Korean mother has passed away, their heritage is still of significance and holds importance to them, which I highly appreciated. Sadly, nothing else was as interesting as that little aspect. The main characters, Lara Jean, along with her love interests, Peter Kavinsky and Josh weren’t all that engaging, as well as the side characters like her family and best friend, Christine. A great example of the lack of friendship between two women is seen here, as Lara Jean’s friend Christine is there for under fifteen pages and isn’t important to the story as much as Josh or Peter is. The bare minimum she says is usually towards Lara Jean’s life, and her backstory isn’t explored, nor is her personality. Her role seems to be undervalued, and the story could have gone on without her, since Han hadn’t bothered to create a three-dimensional character or a realistic bond between the two girls that went past talking about superficial topics. A huge problem I found within this novel was that the plot was mainly led by romance, yet these romantic relationships highly lacked development and seemed very typical. Lara Jean crushes on her neighbor, and her sister’s ex-boyfriend, Josh who doesn’t reciprocate, and as her letter is sent, she fakes a relationship with another past crush, Peter. They inevitably fall in love, but causes more drama as Josh later admits to still having feelings for her. The whole love triangle and drama that ensues was so typical and cheesy, which I truly could not cope with, and the ending of the book gives no true closure. If I hadn’t known better, I would have assumed someone had ripped out the pages near the end. Overall, the book represented a Korean-American family that highly lacks within the YA genre, but lacks in romance, plot, and character aspects. I would recommend this book to anyone who loves cheesy romances and can bear love triangles, terrible endings, and plotless stories.